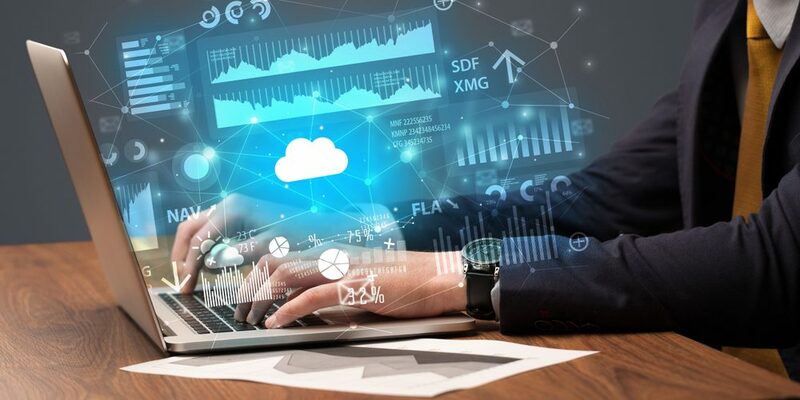 Whether you’re optimising your cloud infrastructure or you’re deep into a new data analysis strategy, chances are you’ve heard the phrase ‘Internet of Things’ or ‘IoT’ thrown around at some point. IoT encompasses the millions of consumer devices and enterprise products connected to the Internet, collecting and sharing data from around the globe. Alarms, beds, cars, fridges, phones, watches - all of these devices are part of the IoT, and this new technology trend is helping proactive companies drive greater insights and generate greater return on investment (ROI). The number of IoT devices is growing at a staggering rate every year. By 2020, it’s estimated between 25.2 billion and 50 billion IoT devices will be deployed globally, up from 6.5 billion. While IoT might still seem like a buzzword right now, it’s imperative your business understands how it can enable digital transformation in new ways. We breakdown what IoT means and 5 key benefits to preparing for an ‘IoT ready’ future. An IoT device is any physical object which can be connected and controlled via the Internet, embedded with electronics, sensors and software that allows it to collect and share data. Computers, smartphones, smartwatches and tablets are the most obvious examples of IoT devices. They are specifically designed with in-built sensors and software that can collect and exchange data in real-time, applied for both for the user and the manufacturer’s benefit. But advances in automation, control, tracking and online connectivity are no longer limited to our main consumer technology devices. Beds, kitchens, planes, solar panels, and wearables are just some examples of less traditional ‘things’ now outfitted with smart sensors and software. Former Telstra chief scientist Dr Hugh Bradlow best summarised what IoT and being IoT Ready means in the current digital landscape at a Davidson Technology forum in 2016. “Everything that can be measured will be measured. We are awash with data, but the real science is in collecting and interpreting the data to deliver actionable outcomes. When did IoT become a trend? While the concept of IoT has been around since at least 1999, the number of truly IoT-enabled devices has increased dramatically over the past few years for various reasons. Think of how our smartphones evolved from simply making and receiving calls to controlling our home security systems and tracking daily exercise by using data-collecting apps, responsive sensors and online connectivity. The idea behind IoT is when our network is setup correctly, this increased capability from devices can be used to get us smarter data faster and make more confident business decisions. What does IoT Ready mean? There are two distinct definitions of IoT Ready in the context of being a future-proofed business. 2. Any business which has prepared its interconnected network of devices to collect and exchange data efficiently, effectively and securely. Why is IoT so important now? A new McKinsey Global Institute report, The Internet of Things: Mapping the value beyond the hype examined more than 150 current-day use cases of IoT across several sectors (cities, factories, homes, offices retail) and estimates IoT has a potential economic impact of US $3.9 trillion to $11.1 trillion by 2025. It’s clear enterprises are investing ahead of time for an IoT future, but it’s not just about the amount of smart devices you have connected. Its real value is in the smarter data sent and received from these devices, and the deeper business insights this level of data can enable. “It’s well understood that connectivity will represent only a fraction of the total IoT opportunity. Complementing our IoT connections data with this major new dataset and analysis on IoT revenue provides a comprehensive and realistic view on where market opportunities exist for operators, vendors, integrators, and everyone else playing in the IoT ecosystem" - Peter Jarich, Principal Analyst of IoT at GSMA Intelligence. By using a network of IoT devices and properly connecting live data streams to your existing on-premises systems and cloud-based infrastructure, businesses have real opportunity to optimise processes, pinpoint new revenue and cost-saving opportunities, maintain hardware assets more effectively and predict customer and market trends in ways not possible before. 2018 has seen some remarkable developments in the global IoT market, with many industries beginning to trial and deploy IoT applications and services in an early bid to get ahead of the game. With a properly connected IoT network of devices and the right specialised software such as Azure IoT Remote Monitoring, businesses can remotely monitor all of their data-gathering devices, machines and sensors and know exactly what’s happening in their business with greater efficiency and accuracy. The ability to analyse the untapped data your assets gather from anywhere at anytime, and the capability to visualise sensor information to improve business decisions and outcomes is invaluable to driving key objectives and generating better return on investment (ROI) - and companies are preparing accordingly. Ultimately, remote monitoring with IoT-optimised devices lets you be dynamic and proactive when it comes to making decisions with live data from your sensors and devices, and lets you automatically respond to certain conditions ahead of time. Big Data is accessible to pretty much every business out there with an interconnected network of devices, sensors and software. The level of information and actionable insights you can gather in real-time with a properly configured IoT network is infinite - and a whole lot less expensive or exclusive than paying for data provided by data scientists or market research firms, or even analysing your data manually. If you’re able to implement an IoT network with the right cloud infrastructure and data analysis services, it’s more than possible to store, access, monitor and use this richer level of big data securely and without the need for costly on-premises databases and servers. In conjunction with powerful business intelligence and smart data software, IoT devices are helping businesses of all sizes have a clearer picture of their inventory and resource usage. Actuators and smart sensors equipped in our production machines have enabled enterprises to access, monitor and leverage better updates on what products they have, what has been shipped, and what may be damaged or used in real-time. The enhanced accuracy IoT provide leads to greater control over the inventory management process. Imagine being able to prevent stock from running out ahead of time, or optimising warehousing space without forcing workers to manually scan or track items individually - that’s a lot of time and money saved for elsewhere. Predictive maintenance is a major advantage of IoT that empowers organisations to be proactive rather than reactive when it comes to maintaining devices and executing actions ahead of time. Using the interconnected network of actuators and sensors of IoT devices and their constantly streaming data, businesses can predict when equipment failure might occur ahead of time. IoT-enabled sensors can provide live health statuses and warning signs of your devices, and preemptively prevent the occurrence of failure by assessing current conditions, delivering alerts and performing timely maintenance or servicing of the hardware automatically. In the international health sector, IoT-enabled sensors are already being used to provide remote patient monitoring and to maintain hospital equipment dynamically. One hospital in Scotland is publicly trialing the automation of bed maintenance, using Bluetooth-compatible sensors on the beds that send real-time data via a lower power wide area network which alerts staff to their location and when they need repair, all accessible via a centralised dashboard. IoT connectivity can enable businesses to better access and monitor customer feedback and customer behaviours from their products and services. For example, sensors in a sold product can inform customers when the device is defective or needs maintenance, while live data can be sent back to the business to let you know how best to improve the product in the future. How do I become IoT Ready? Connecting physical objects like furniture, machines, vehicles and wearables into the digital space is clearly a powerful idea that can drive real change in how products and services are distributed, maintained and refined. The next step for your business is to re-examine your existing business models, investments and initiatives to properly embrace the many benefits IoT can enable, backed by the right cloud and smart data platforms.